Disclaimer: If you find our post useful, please use our affiliate links. The objective of this blog post is to give you clear understanding of which company will work better for your situation and your budget. If you talk to a sales rep at LeadPages or ClickFunnels, they will always try to sell you that their plan is better than the competitor. Here at Planet Marketing we use both LeadPages and ClickFunnels for our clients and for ourselves. 1) What Do LeadPages and ClickFunnels Actually Do? 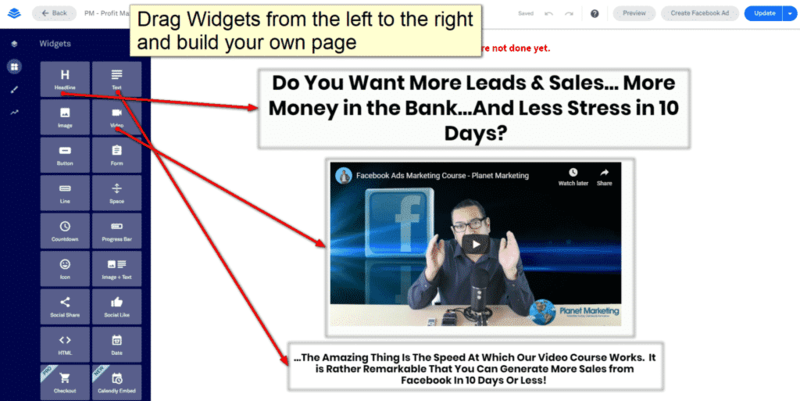 LeadPages and ClickFunnels are what I call “landing page builders”. You’ll hear ClickFunnels refer to the process as Funnels. I started marketing in 2006 and marketing ‘funnels’ are not new. In the end, whether you’re building a landing page with LeadPages, ClickFunnels, WordPress, etc., the only thing that matters are phone calls and leads. 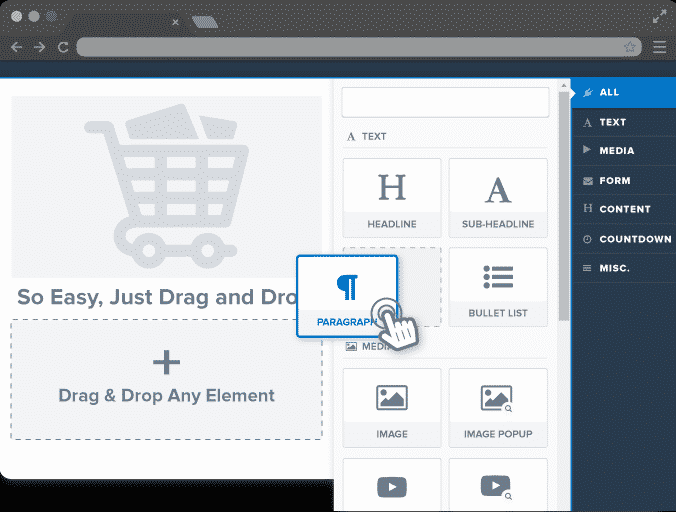 LeadPages and ClickFunnels have a lot of the same features ranging adding from paragraphs, images, headlines, bullet points, etc. I often get people asking me if they should sign up for ClickFunnels or LeadPages. As a marketing agency, we tend to use landing page builders for ‘promotions’. Since 100% of our clients have a website, something like LeadPages comes in handy when promoting something on Facebook. Actually, if you click on a sponsored ad on Facebook, the landing page is most likely made with LeadPages or ClickFunnels. Do NOT Use LeadPages nor ClickFunnels as a Website! 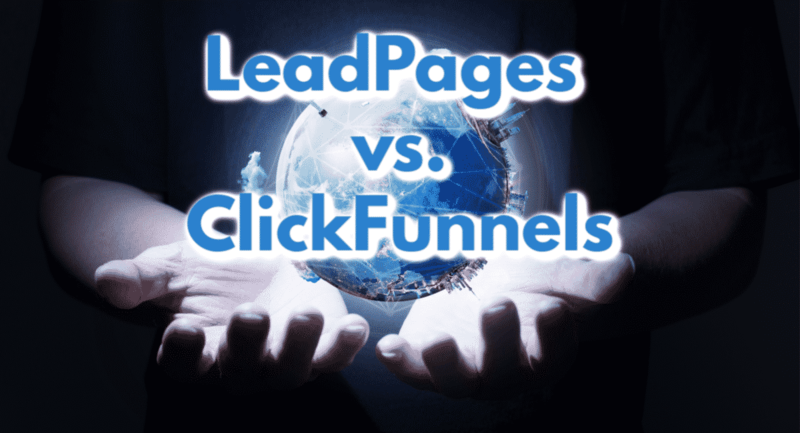 Have you ever seen a ClickFunnels or LeadPages page rank in Google? I haven’t. Don’t get sold on using these are a replacement for your site. This software is to be used as a tool to promote whatever you’re selling. If you’re selling a course, both companies will work. If you’re looking to build your email list, both companies will work. The main difference where I see ClickFunnels being superior to LeadPages is at checkout. With ClickFunnels, you can do upsells, downsells, addons, while people are buying products. ClickFunnels seems to have more integrations. For instance, it has direct integration with Teachable, but if you’re not selling courses, it doesn’t matter. There are too many features to compare so we are only putting the most common features in this table. As mentioned before, we are a marketing agency and use LeadPages/ClickFunnels. Even for Planet Marketing, we use LeadPages, but we have found a company that we are very happy with. There are many reasons we chose to move from LeadPages to Thrive Architect. Read our full Thrive Architect review here. Dual purpose page builder. It can serve as your WordPress Editor or your landing page builder. 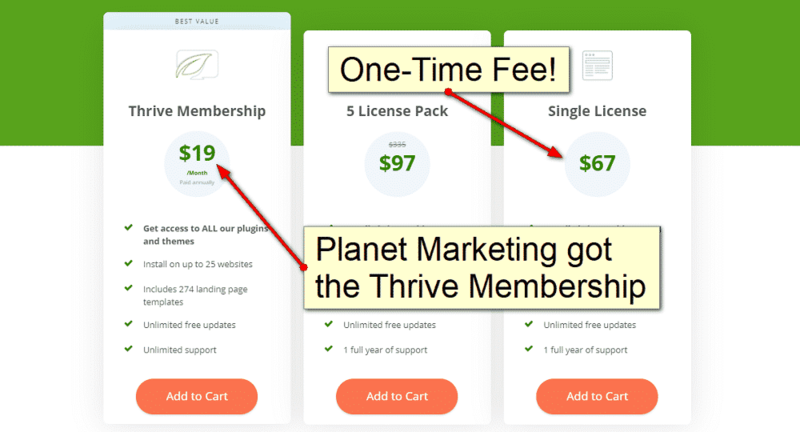 In addition to all these benefits, Thrive Architect can be purchased with other plugins made by Thrive Themes. Thrive Themes makes about 9 other plugins like optin forms, countdown timers, online school, etc. You should check them out. Instapage is also a good program worth mentioning. It is the most expensive of all the landing page builders mentioned, but it comes full of features and integrations. I mention it here because if you’re not sold on using LeadPages, ClickFunnels, or Thrive Architect, you have a 4th solution. Get ClickFunnels or LeadPages if you’re advertising some type of promotion on Facebook, Instagram, YouTube, Snapchat, etc. Right now this software is popular. Soon these systems will become a free plugin on CMS’ like WordPress (it has already started with Thrive Architect) or become part of your WordPress theme where you can hide the menu and footer. Get LeadPages if all you need is to create promotions. Get ClickFunnels if you’re selling something and want to do upsells at checkout or you find an integration that isn’t on LeadPages.